This guide explores the northern dales of the White Peak area of the Peak District National Park in Derbyshire. 35 walks are included in this guide, between 3 and 9 miles long. From Castleton and Winnats Pass gorge, down to Lathkill Dale and Matlock Spa, the northern section of the White Peak offers variety and beauty and is waiting to be explored. The White Peak is the name given to the rocky southern area of the Peak District, for its pale underlying limestone. The result is a landscape of escarpments, heather moorlands, wooded valleys and the roll of hillsides and plateaux. Idyllic villages dot the walks with pubs standing by for refreshing walkers after a good White Peak walk. This guide covers the northern section of the White Peak, divided from the southern by the High Peak Trail between Buxton and the Cromford Canal near Matlock. The guide not only provides clear route descriptions for all 35 walks, but practical information on transport to and around the area, history of the region and information on the Peak District National Park. The guide helps change a simple walk into a memorable one, with insights into the places and sights of interest along the way. Each walk is illustrated with OS maps to guide the way. Beautiful colour photography is throughout the guide. 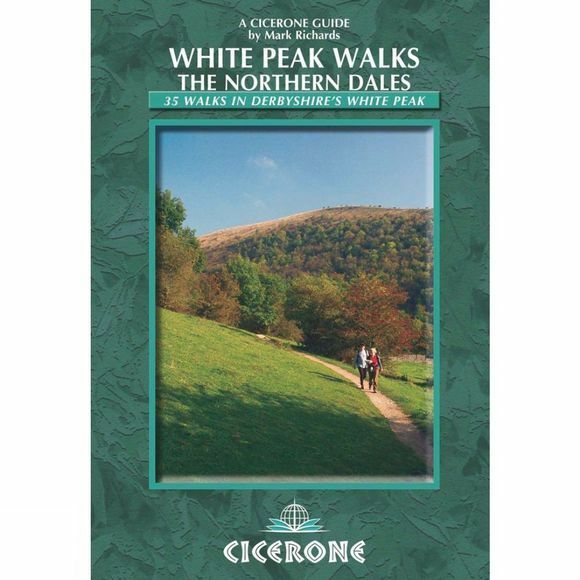 The companion guide to this book is the White Peak Walks: The Southern Dales.